God has a purpose and plan for each of our lives. The greatest thing we can do is to find that purpose and live it out. We can trust his purpose for us because it is based on his wisdom and love. As long as we seek his will, we're not going to do anything that can ultimately mess up his purpose for us. Yes, we may at times stray from the perfect channel he wants us to travel, but we never get totally out of the main channel. 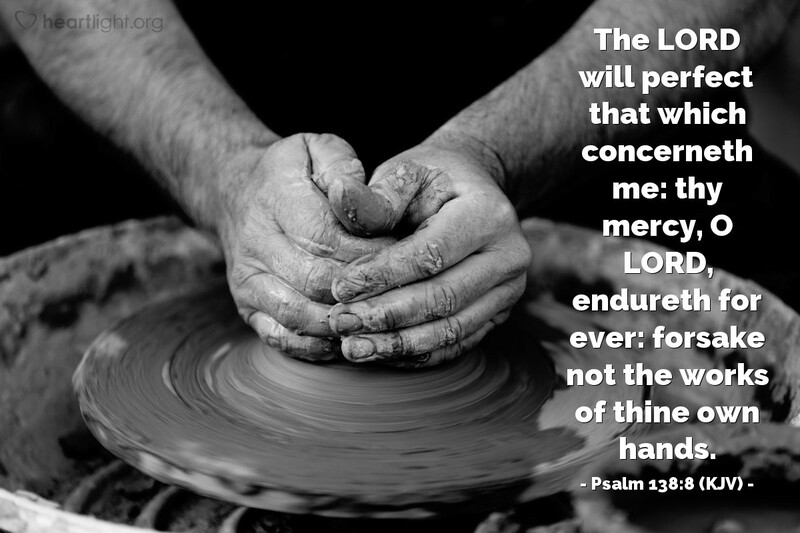 As long as we do not abandon him, and remember he will never forsake us, he will use us for his purposes. O Sovereign God, help me discern today what my life is intended to fulfill in your plan. Thank you for loving me and promising to walk beside me every step of my life. I live trusting that you will never forsake me and committed to never forsaking you. In the name of your faithful Son, Jesus, I pray. Amen.